Viking and Sub-Zero are two of the best names in the appliance industry. They didn’t compete before as Viking sold ranges and Sub-Zero built refrigerators. Then Viking purchased Amana's high-end refrigerator production to become not only a range company but a refrigerator company as well. Similarly, Sub-Zero bought Wolf to become a range and refrigerator company. 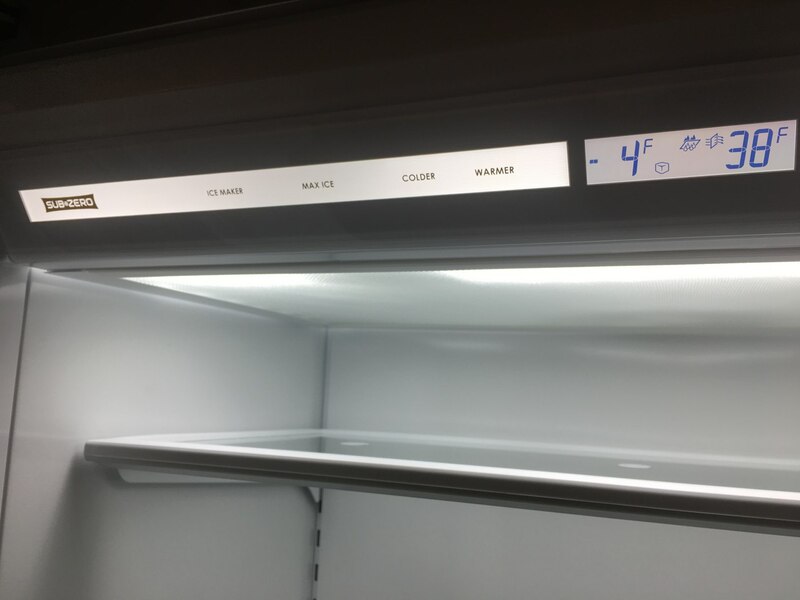 After some initial problems, Viking has produced a better refrigerator, but does it compare to the Sub-Zero? In 1943, Westye F. Bakke built the first freestanding freezer in the basement of his Madison, Wisconsin home. Bakke founded Sub-Zero Freezer Company two years later in an old two-car garage. From its modest beginnings, Sub-Zero has become the recognized leading manufacturer of premium built-in home refrigerators. Indicative of the company’s innovative engineering, is its dual refrigeration system, which relies on two separate, self-contained cooling systems to keep food fresher and preserve frozen food longer. For sixty years, Sub-Zero has offered innovative, aesthetically appealing and technologically advanced solutions to meet virtually any home refrigeration need. Viking Range Corporation was founded by Fred Carl, Jr., a fourth-generation building contractor, as a speculative venture aimed at developing the first commercial-type range specifically designed, engineered, and certified for home use. Viking is considered not only a major appliance manufacturer but a culinary company involved in all aspects of the kitchen and the world of food and wine. The Viking refrigeration plant was totally renovated in 2000 and produces Viking built-in refrigerators, freezers, wine storage units, and an entire line of outdoor refrigeration products. Viking was acquired by Middleby, a commercial range manufacturer, in February of 2013. Both Sub-Zero and Viking produce excellent refrigerators, and each of them has air filtration systems inside the refrigerator. Viking uses Sharp's Plasmacluster Ion Air Purifier to eliminate airborne mold, bacteria, and other impurities while removing odors. Sub-Zero’s air filtration system has an air scrubber, which scrubs the gasses off food, keeping food fresher for a longer period of time. It also eliminates cross-contamination preventing foods spoiling. Sub-Zero also has a vacuum seal on the door, which eliminates outside air entering the refrigerator. The refrigerator also features a high-humidity drawer with dividers and an adjustable dairy compartment. 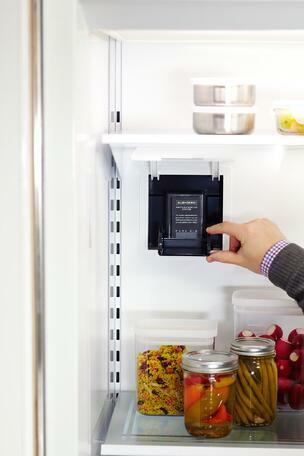 The crisper and deli drawers also form a special low-temperature zone. They are magnetized to seal air out. Viking has two high-humidity zone drawers as well as an adjustable cold zone drawer, which can be set for either produce or long-term, fresh meat storage with separate temperature controls. Both have electronic controls to maintain temperature. Sub-Zero maintains the temperature of 2 degrees, while Viking claims temperature control within 1 degree. Sub-Zero uses a two-compressor system, whereas Viking utilizes one compressor. Both Sub-Zero and Viking offer excellent warranties. Sub-Zero provides 2 years and up to 12 years on the compressor. Viking offers 3 years. While Viking has improved previous models, from a technological standpoint, Sub-Zero still has the clear edge. Two compressors mean the air stays chambered in the proper area. Hence, the moist air stays in the refrigerator and doesn’t mix with the drier air of the freezer. What this means is that the tastes don't mix. (You don't want ice cream tasting like fish, for example). The vacuum seal of the Sub-Zero keeps air from infiltrating the refrigerator. For this reason, food stays fresher for a longer period of time. Middleby now owns Viking. I originally was excited about the new Viking, but the service issues are perplexing, especially on a brand so reliant on their name recognition. We are lucky to have 23 techs on staff because the Viking service rate was over 60% in the first year. Middleby is an acquirer of strong companies. Four years later, the problems remain. The technology in both refrigerators is very good, but Sub-Zero is quite simply the better refrigerator at this time. 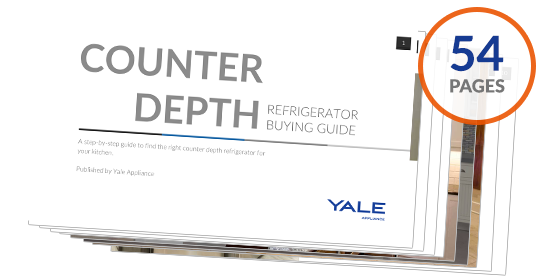 Download our Counter Depth Refrigerator Buyers Guide specifically addressing all current counter depth refrigerators including regular, integrated and professional. Over 200,000 people have read a Yale Guide. Editor's Note: This article was originally published on November 12, 2014, and has been updated for comprehensiveness and accuracy.